Though purchase price wasn't disclosed, the firm borrowed $23.2 million to buy the 276-unit complex. The Boardwalk Med Center complex, at the corner of Huebner Rd. and Apple Green, was built in two phases in 2011 and 2014. The Bexar Appraisal District valued it at $30.5 million this year. 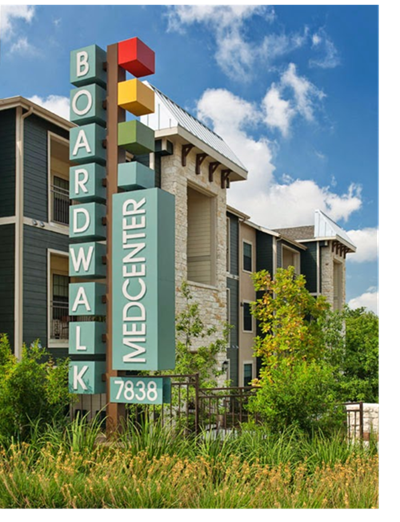 Starlight's President Evan Kirsh said the firm picked the Boardwalk for its first investment due to its proximity to the Medical Center and USAA's headquarters.